Suzhou North Railway Station is the second most frequently used railway station in Suzhou City of Jiangsu Province. It is about 6.5 miles (10.5 kilometers) to Suzhou Railway Station; 11.2 miles (18 kilometers) to Guanqian Street, the center of the ancient city area; and 9 miles (14.5 kilometers) to Humble Administrator's Garden. Suzhou North Train Station is an intermediate station along the Beijing-Shanghai High Speed Railway, operating high speed trains only. It has been connected with Beijing South, Shanghai Hongqiao, Nanjing South, Tianjin West, Hangzhou, Qingdao, and Xuzhou East, etc. Suzhou North Railway Station mainly consists of a two-storey terminal building, a South Square and a North Square. 1F is mainly used as waiting hall. The ticket office is to the east of the South Entrance. Exit is also on the east side of the building. Inside the terminal building, there are toilets, escalators and elevators as well as a Chinese restaurant, three shops and a book store. 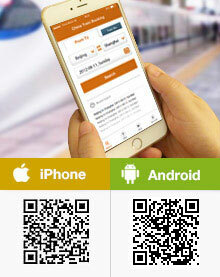 Passengers with paper ticket can enter the waiting hall and find the waiting area based on the train number. Sometimes the "checking gate" is printed on the ticket, for example "A1" or "B1". If you cannot find it on your paper ticket, ask the station staff or other passengers nearby for help. Go through the ticket checking gate, passengers can go upstairs to reach the platform on 2F for boarding. There are two bus stops, taxi stands, South Entrance, Ticket Office on the South Square. One of the bus stops is called "Beijing-Shanghai High Speed Railway Suzhou North Station" on the southeast of the square. Bus No. 139, 811, 813, 819, 824, 837, 866, 871, 873, 877; Night Bus No. 4, 7 and 9 can be found there. The other is "High Speed Suzhou North Station East" bus on the east of the square; it serves bus No. 832. Taxi stand is on the west side of South Square. The taxi drop-off is located at the underground passage; from there passengers can take escalators and elevators to reach waiting room and ticket office on 1F. The rail transit station of Line 2 is set up in the northeast of North Square, about 170 yards (150 meters) from the railway exit. How to get from Suzhou North Train Station to other places? To Humble Administrator's Garden: Passengers can take bus No. 811 to Suzhou Museum and then walk to the garden. The duration is about 90 minutes. By taxi, the duration would be around 30 minutes and the taxi fare may be around CNY50. To Tiger Hill: Travelers can take rail transit line 2 to Shilu and then change to Tourist Bus No. 1 (North Route) to the Tiger Hill. The duration is about 1 hour. Taking a taxi, it would cost about CNY50-60 and take around 35 minutes. To Guanqian Street: Travelers can take rail transit line 2 to South Guangji Road and then change to rail transit line 1 to Leqiao, Exit No. 7. Guanqian Street is about 600 yards in the north. The duration by subway should be within 1 hour. If by taxi, the duration is about 40 minutes and the cost is about CNY50-60. To Suzhou Railway Station: Passengers can take rail transit line 2 directly to get there. The duration is about 35 minutes. By taxi, the duration would be around 30 minutes without traffic problem and the cost should be around CNY50. To Tongli Water Town: Travelers can take the rail transit line 2 to Suzhou Railway Station first, then walk to the North Square Long-distance bus center taking the long-distance bus to Tongli directly. The bus ticket to Tongli is CNY8 per person. what station must arrive when departing from hangzhou to Beijing? I will depart from hangzhou to suzhou by rail, which station must I arrive? Is it north? And then to beijing. I plan the hotel is royal garden inn, is it close to the north? If not please recomend the hotel that nearly that. Thanks for reply. The arrival station depends on which rail you will take. You need to tell the rail number, and then others could help you to check. Are there tour buses or regular buses outside of Suzhou North station to Tongli? How difficult is it to get to Tongli from SZ north station? Just wondering whether it is easier to catch the slow rail from shanghai to SZ so that I could catch a tour bus to Tongli? Trying to avoid using a taxi as we are on a budget. Does anyone know the most cost-effective way? Thank you! North station do not have bus to Tongli, you need go for SZ station instead. The is a long distance bus hub near the north square. There has bus to Tongli, available every hour, CNY8 per person. How long does it take from shanghai railway station to SZ station on the slower train? I've read that it can take from 50minutes to up to 2 hours, but I'm not sure why there is such a large time difference. In fact for most slow type, it is around 1 hour to 90min. Also still some high speeds available(not all high speeds stop at North station only). For the high speeds, it is about about 30min. Thank you! I thought all the high speeds stop at north only! How long would it take from Suzhou North Railway Station to SZ Industrial Park? If you go by metro and bus, it can be about 90min to 2 hours. If by car, about 40min to 1 hour, depends on the detailed address. Does Suzhou North Railway has an counter for checking in baggage for a day? I understand that SZ Railway station has an counter for checking in baggage for a day at 10Yuan, does the North Railway station has got a similar baggage check in counter as well? Do not worry, every station should have a luggage store center, and the charge is more or less the same.